This entry was posted in news and tagged Configurator MINI USA on January 20, 2016 by James Day. 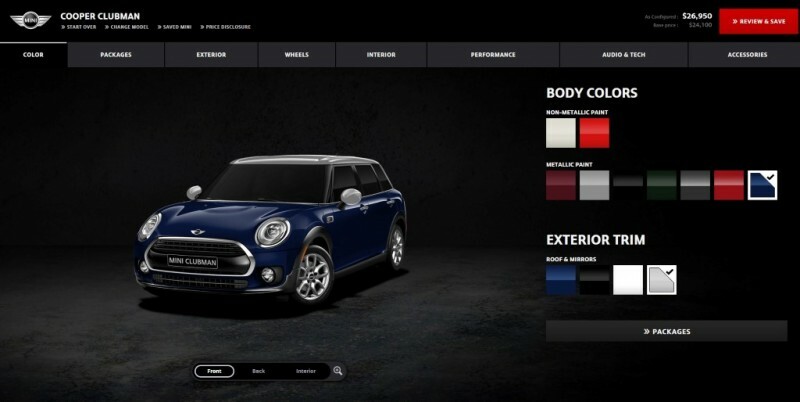 With the addition of the new MINI Convertible, MINI USA launched a complete visual design update to the MINI Configurator. The Configurator now conforms to the new MINI branding introduced in June of last year and features a white background, new two-dimensional MINI logo, and the MINI Serif font. Otherwise, the layout and functionality are similar to the previous version (below, top) on the redesigned version (below, bottom). Visit the Build Yours page at MINIUSA.com.